Sarah Stephen is the owner of Beaches Osteopathy located at the corner of Lyall Avenue and Main Street, having recently opened earlier this month. Sarah has been a healthcare practitioner for over 15 years, graduating from Massage Therapy School in 2003. 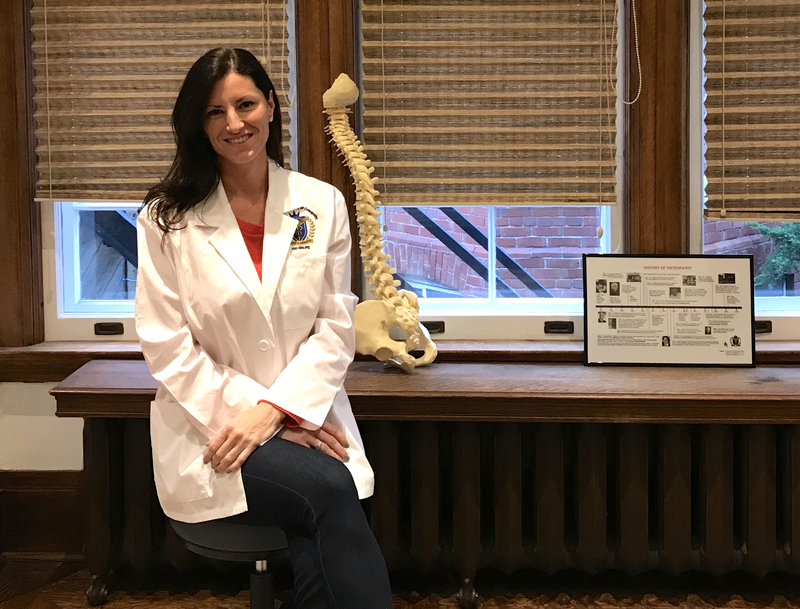 She went back to school in 2011 for a Masters of Osteopathic Manipulative Science and is a member with the Ontario Osteopathic Association (OOA). Osteopathy is a gentle, non-invasive, drugless form of manual therapy with a hands-on approach to physical treatment. Sarah assesses every patient individually and aids in restoring bodily communication between nerves, arteries and veins. Sarah assesses and treats the whole body looking for areas of dysfunction within the soft tissues, bones, joints and organs, guiding these areas back into place, allowing the whole body to work optimally. During her treatments, the owner focuses on anatomy and physiology but incorporates a relaxation component to the treatment as well. Being relaxed during manual therapy is essential to the healing process as it creates a perfect environment for restoring health. Osteopathic care is covered under most insurance companies and no doctor’s referral is needed to come for an assessment with Sarah. You can contact Sarah if you or your family are experiencing muscle tension, headaches, neck/jaw pain, postural issues, suffering from a concussion, circulatory, digestive or reproductive issues. Having a passion for paediatrics, Sarah also treats infants with latching/feeding issues, colic, torticollis, sleeping, crawling and walking issues. Treatments are usually given weekly to start the process of healing acute or chronic issues. With years of qualified experience practicing at businesses in Burlington and Yorkville, Sarah has now moved to the Beach and made it her official home. Visit Beaches Osteopathy at 2 Lyall Ave. to experience a rational approach to holistic healthcare with classical Osteopathic principals that have been practiced over 150 years.